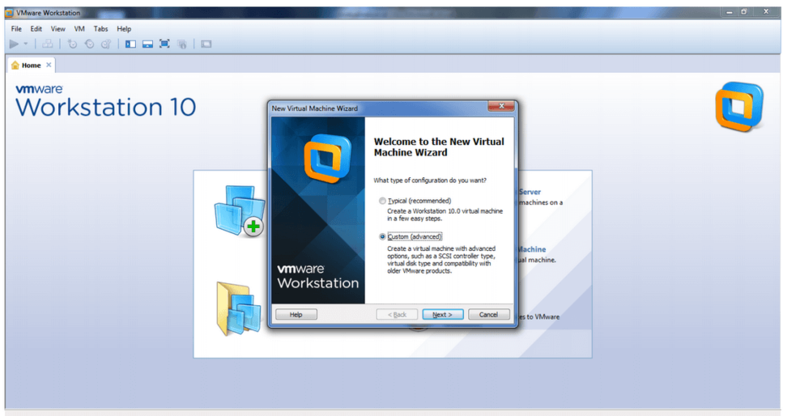 Vmware workstation software is used to do the virtualization of Operating System. 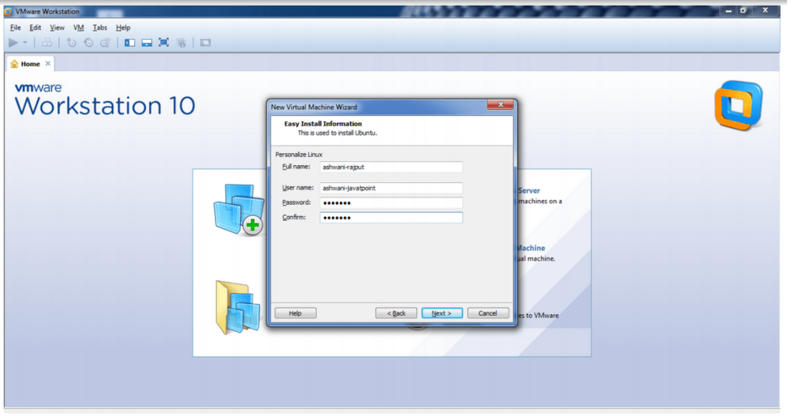 For installing any Operating System virtually, you need to install VMware software. 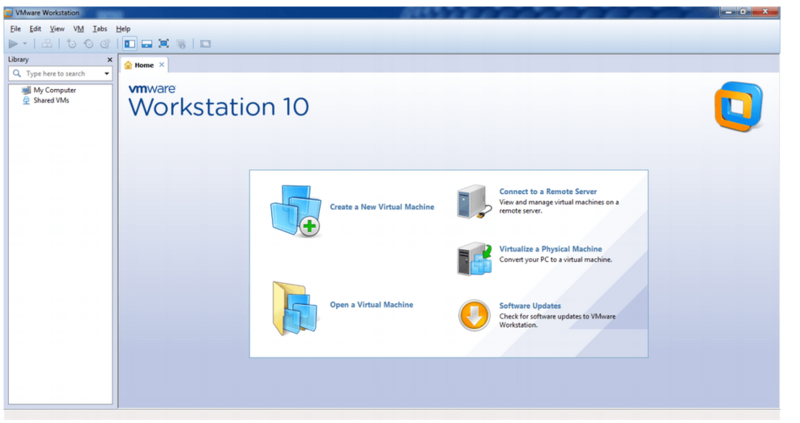 We are using VMware workstation 10. Before installing linux OS, you need to have iso image file of linux OS. Let's see the steps to install the linux os virtually. 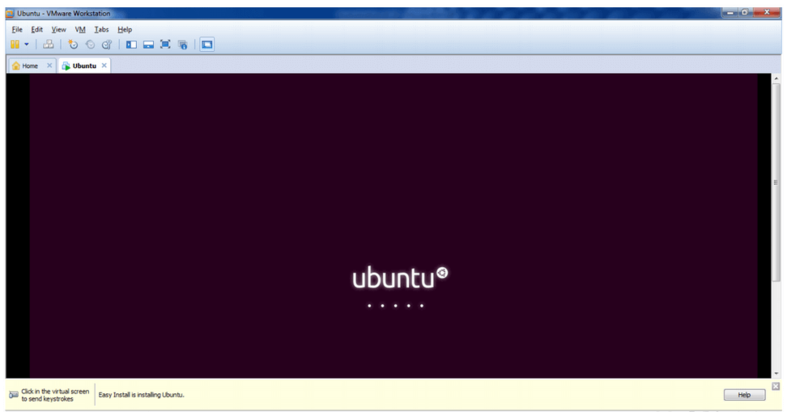 How to create new virtual machine for linux OS? 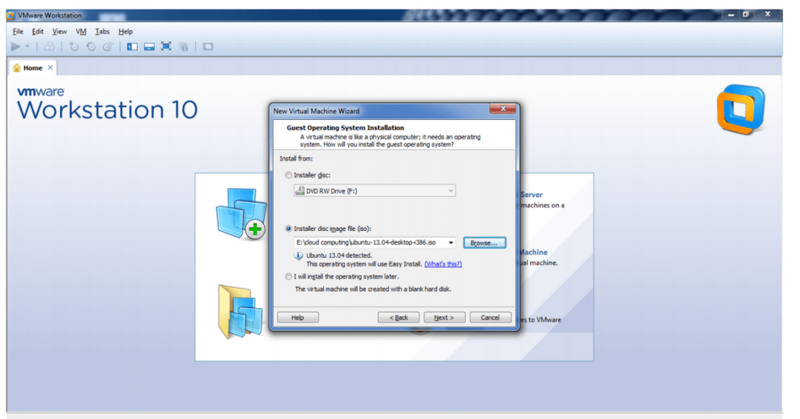 1) Click on create new virtual machine. 2) In welcome window, choose custom option and click next button. 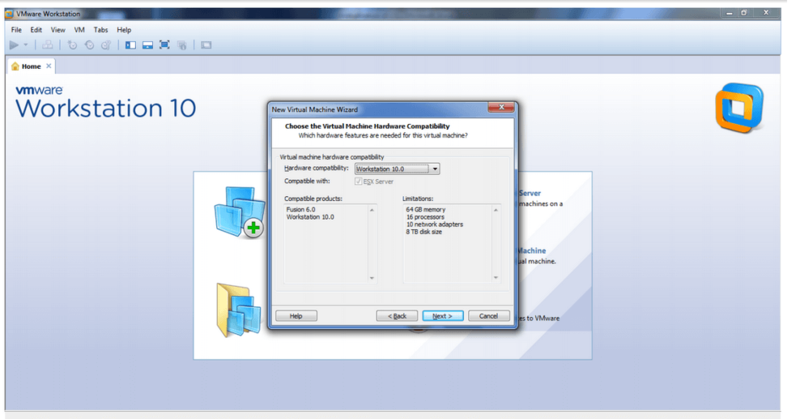 3) In choose the virtual machine hardware compatibility window, click on next button. 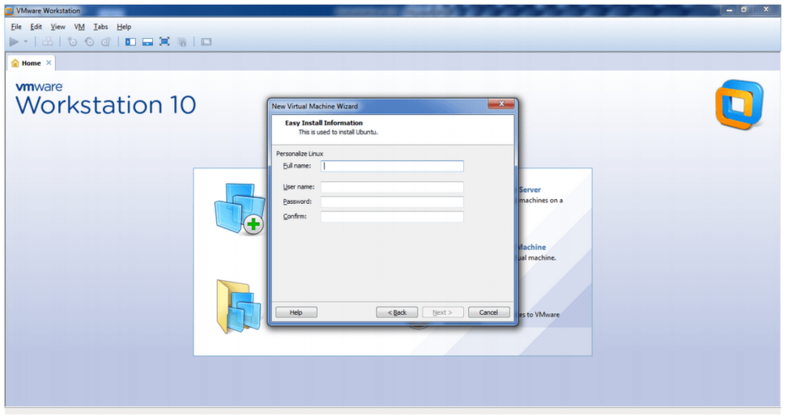 4) In the Guest operating system window, choose iso image file from the disk or any drive. I have put the iso file of ubuntu in e: drive. So browse your iso image and click on next button. 5) In the easy install information window, provide full name, username, password and confirm password then click on next button. You can see the given information. 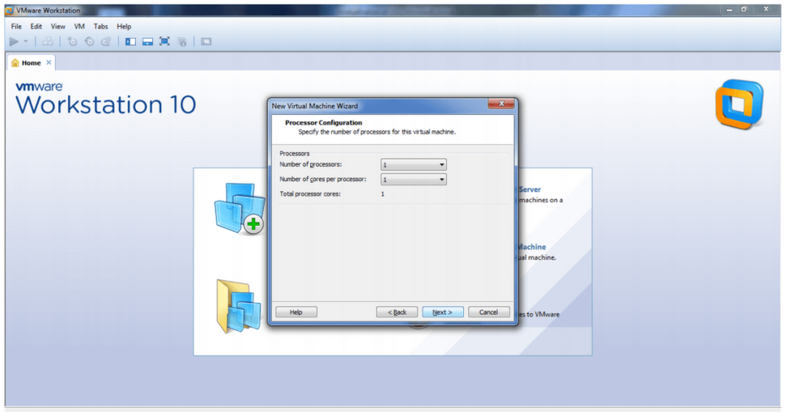 6) In the processor configuration information, you can select number of processors, number of processor per core. If you don't want to change the default settings, click on next only. 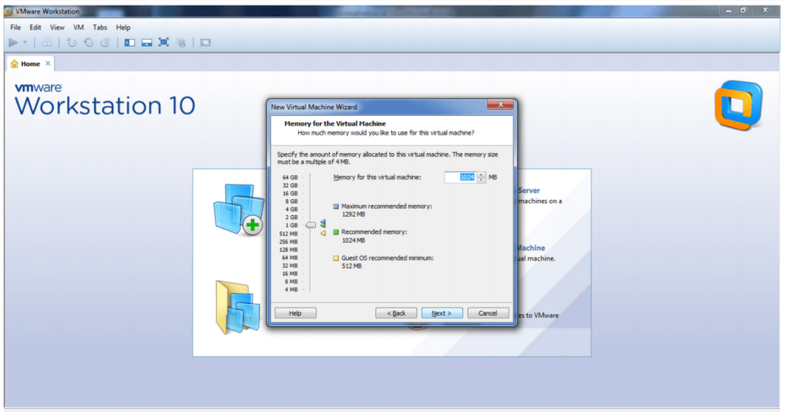 7) In the memory of the virtual machine window, you can set the memory limit. Click on the next button. 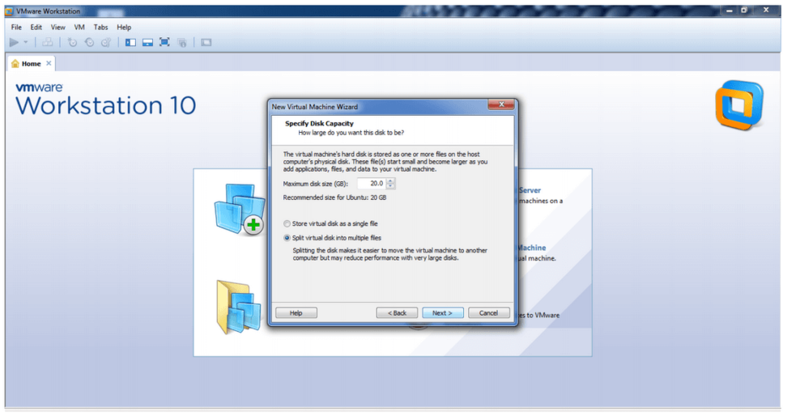 8) In the specify disk capacity window, you can set the disk size. Click on the next button. 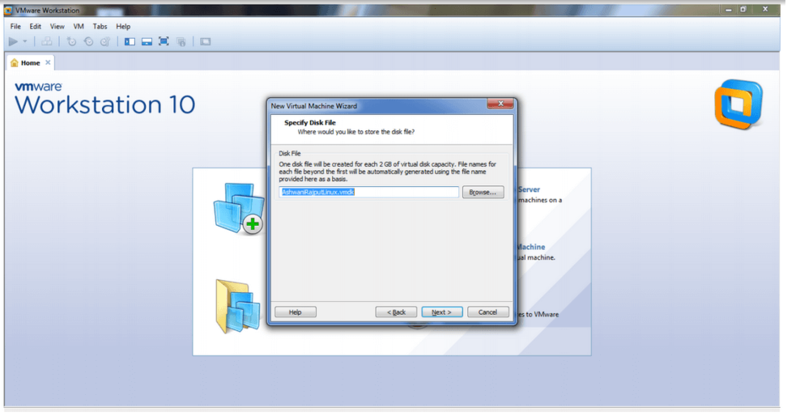 9) In the specify disk file window, you can specify the disk file then click on the next button. 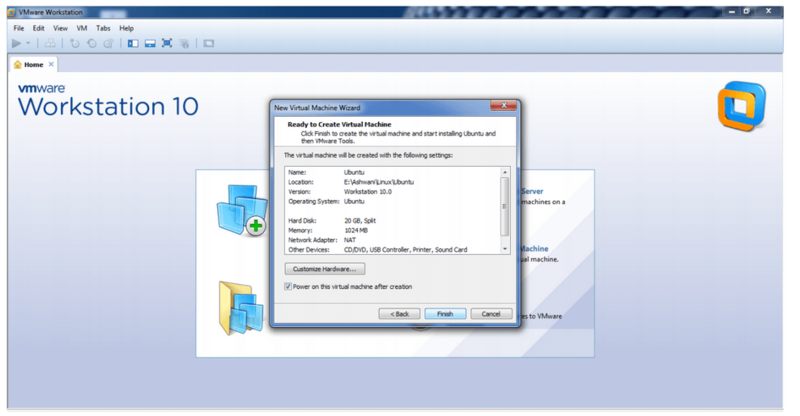 10) In the ready to create virtual machine window, click on the finish button. 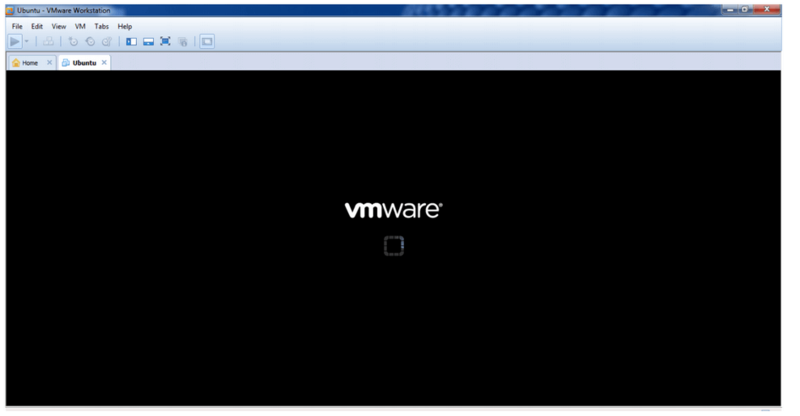 11) Now you will see vmware screen then ubuntu screen.